Yannes Wong, a finalist of the Hong Kong Young Fashion Designers' Contest (YDC) in 2014. She worked at the haute couture brand “Cecilia Yau Couture” after graduated from a local traditional design institution - Caritas Bianchi College of Careers. 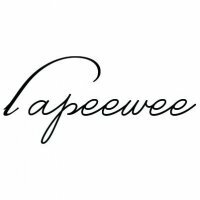 Yannes launched ladies’ wear label La Peewee in 2013 with partner Wong Hoi Yi (Stephanie). To her, fashion is not just clothing but an attitude. This is reflected in her designs where clean cuts and A-line dresses express a strong and suave femininity. The use of fabric collages gives each outfit a more textured feel and a sense of playfulness. It strikes a perfect note between strong and gentle - what femininity is about.